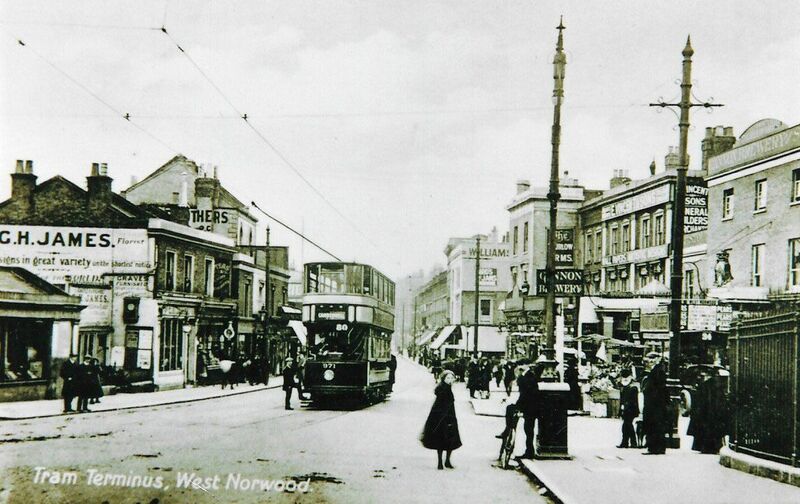 West Norwood has history, find out at Feast! 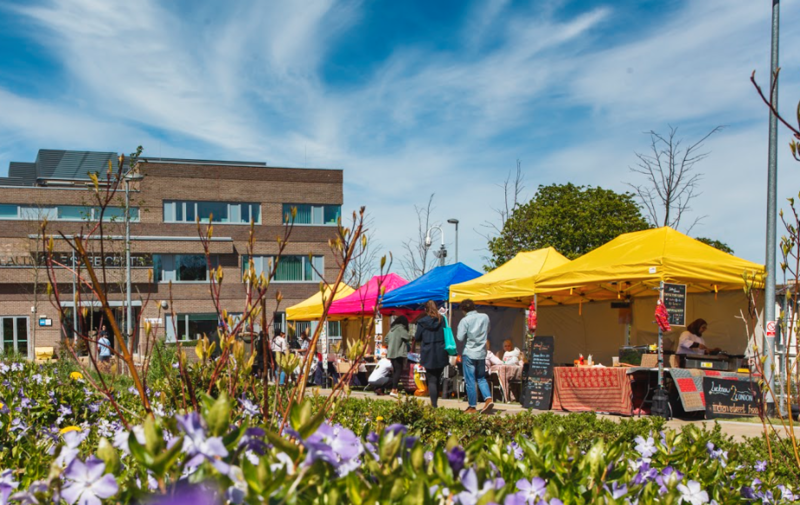 All our usual traders will be there – and remember, at the leisure centre’s Family Wellbeing hub, all food traders have a dish that is £5 or less, many have child-sized portions and there are always Feast made kids lunch bags for £2.50. 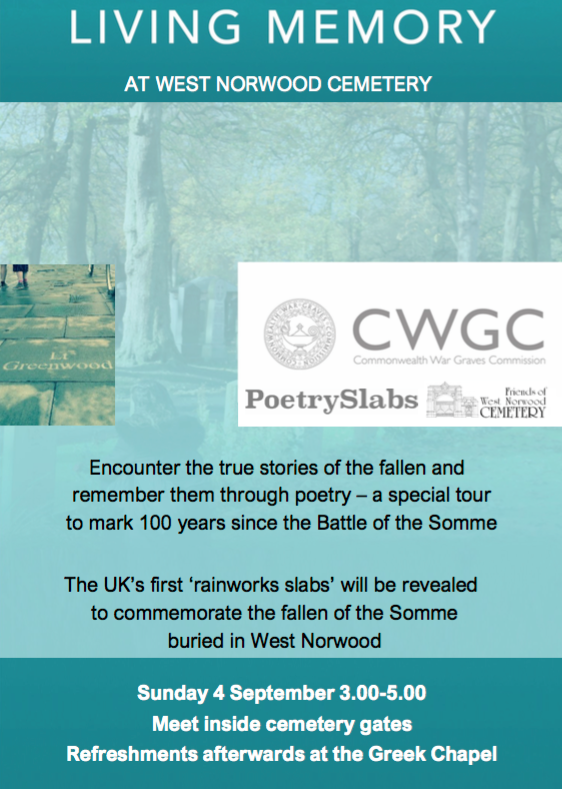 The friends of West Norwood cemetery and PoetrySlabs are collaborating on Feast day with a history and poetry tour to commemorate 100 years since the Battle of the Somme. 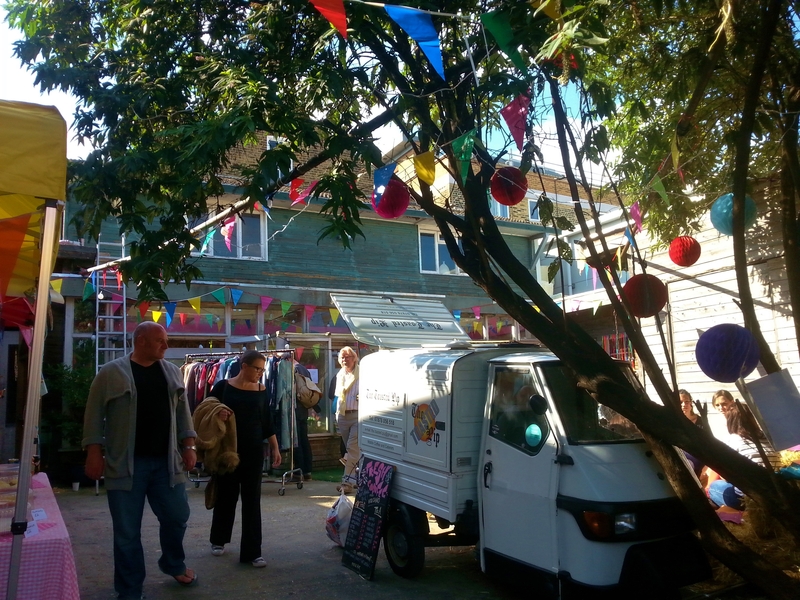 We have another pop up event at the Community Shop on Vale Street this Feast. 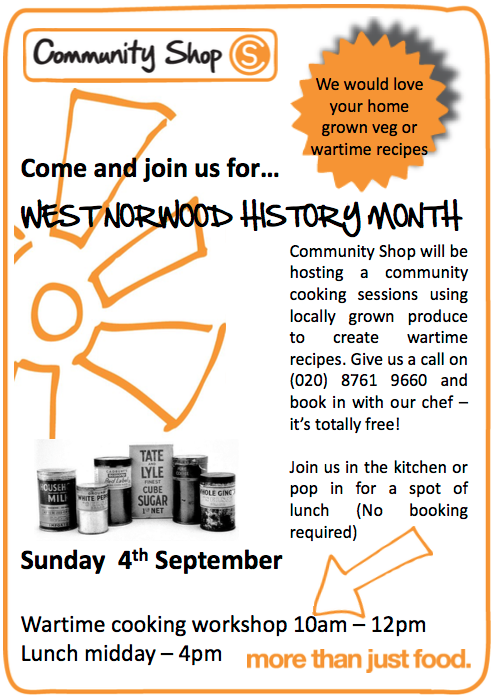 The kitchens will be cooking up wartime recipes and using locally grown produce (you’re welcome to bring your own if you have any) – which you can then eat, for FREE! Traditional lullabies, old photos, history quiz – and lots of music! Take your tinies to the library at 2.30pm to meet Musical Bumps for some singing and bashing of instruments to old fashioned nursery rhymes. 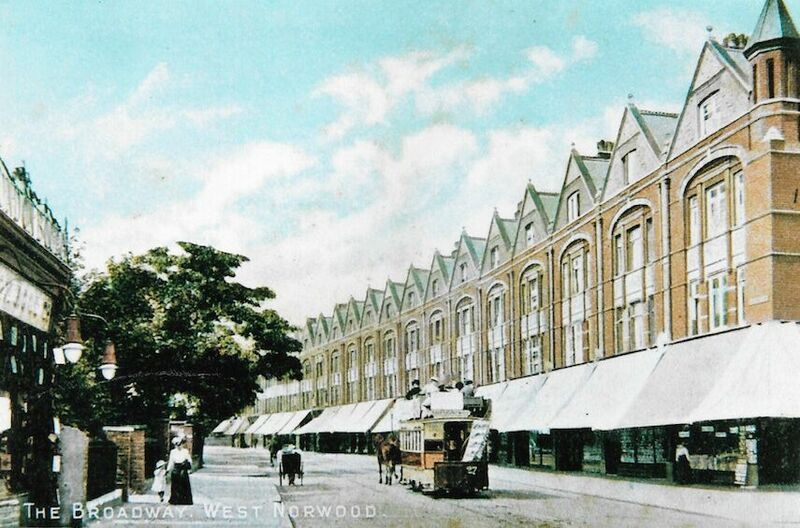 If you have no tinies, how about doing a West Norwood history quiz? 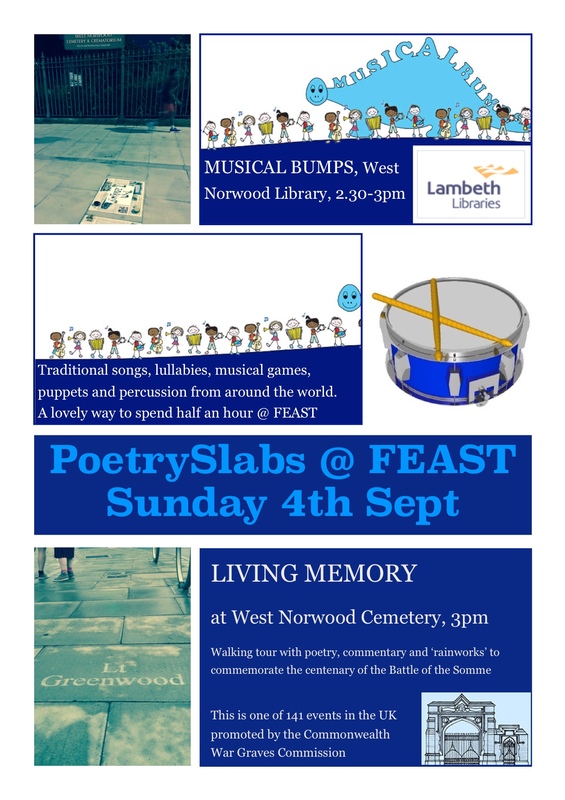 There will be copies of it at the various Feast hubs, just ask a volunteer. 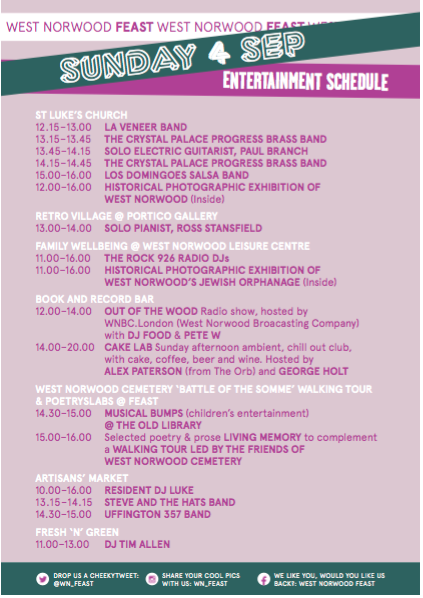 The prize is a lovely West Norwood Feast bag! 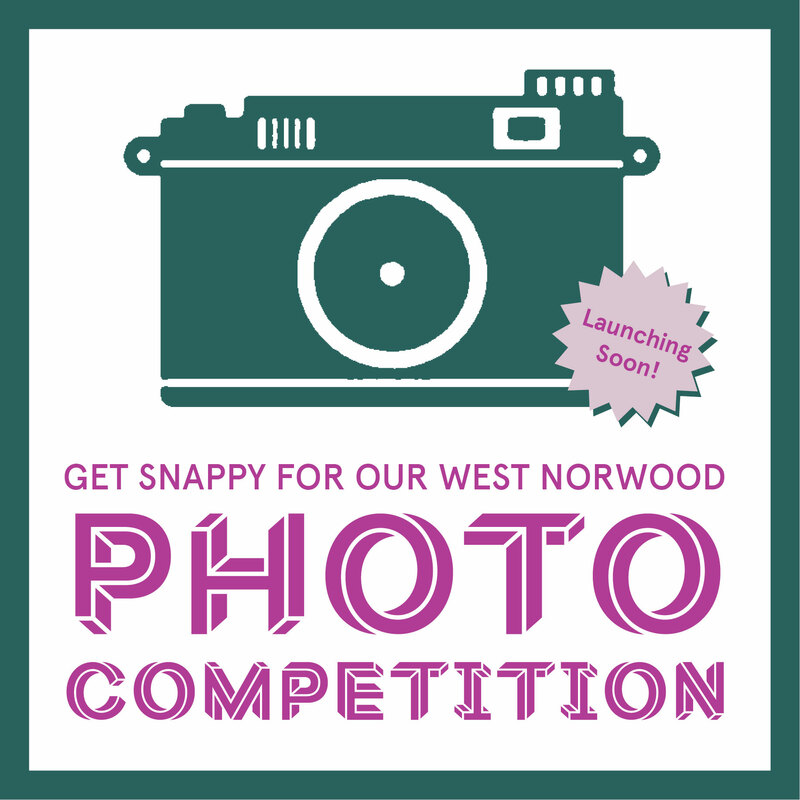 Feast volunteers are launching a fab photography competition for anyone who has, or wants to take, photos of West Norwood. We will collect in the submissions and have a panel of illustrious judges who will choose the winners before December’s Feast. Here are the details, now get clicking!